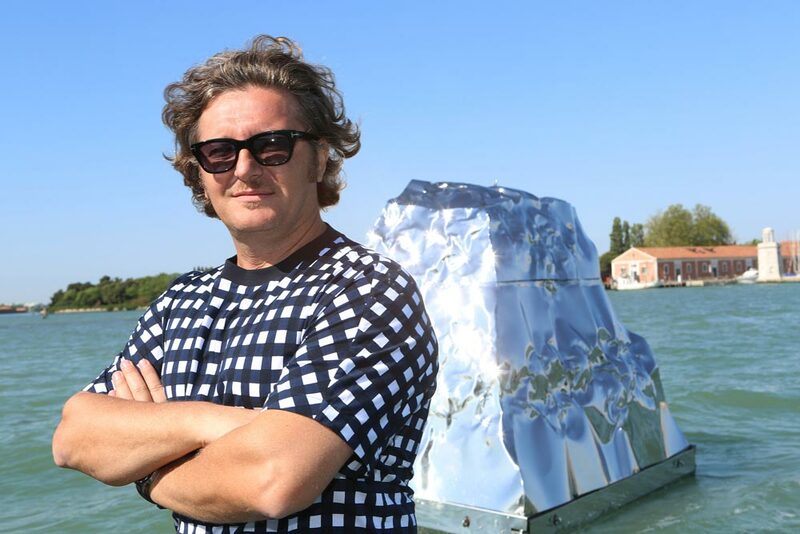 Helidon XHIXHA was born in Durrazzo on December 1970. Son of an artists he spends his childhood in the workshop of his father Sali, from whom he inherits a strong passion for the FINE ARTS but especially for SCULPTURE. After attending the Academy of Fine Arts of Tirana he decides to move to Italy. In 1998, thanks to a scholarship he has the opportunity to attend for three months the Kingston University of London and can thus improve his engraving, sculpture and photography tecniques. In February 1999, he graduates from the Academy of Fine Arts of Milan, known as Brera. Known in the academic world for his style, he experiments with and realizes works in Murano glass and stainless steel sculptures with an innovative technique His pieces of art continue to play a very important role within the international arena of the fine arts (America, Dubai, Germany, France, Austria, and England). The artist’s works feature among collections in the US, Italy, UK, Germany, France, Switzerland, China, Brazil, Greece, Finland, The Netherlands, Albania, and Lithuania. • First Prize – second edition of the “Gemine Muse Young Artists in Italian Museums”, Novara, in collaboration with the Ministry for Cultural Heritage and Activities, Gai (Young Italian Artists) and Cidac (Association of Cities of Art and Culture) – Work “Light and Shade”, year 2003.